This post is sponsored by Stonyfield Yogurt and Taylor Farms. Every time I make a huge salad for dinner (and throw in whatever veggies we have in the fridge) I find myself doing yet another happy dance that my kids actually LIKE salad and will eat it with joy. YESSS! Total win in the Mom department. 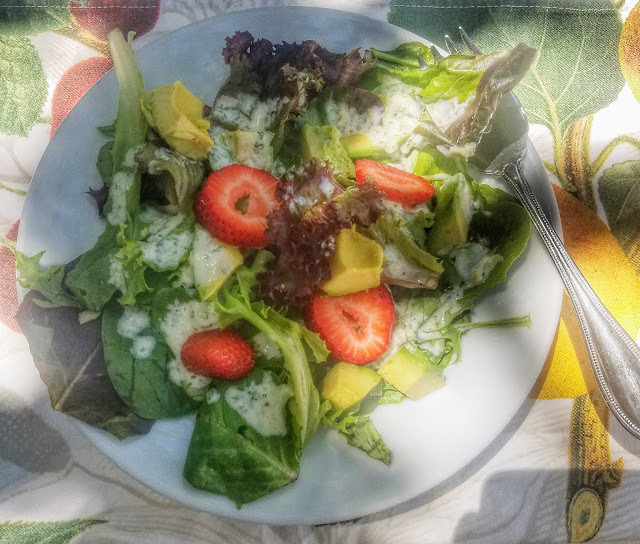 Salads are such an easy, healthy, go to for dinners and especially during summer when no one really wants to turn on the oven if there is any way to avoid it. I've made everything from huge salads topped with chunks of wild salmon, salad with fruit, veggies and grilled chicken, grilled swordfish - you name it, we have probably done some variation of it. 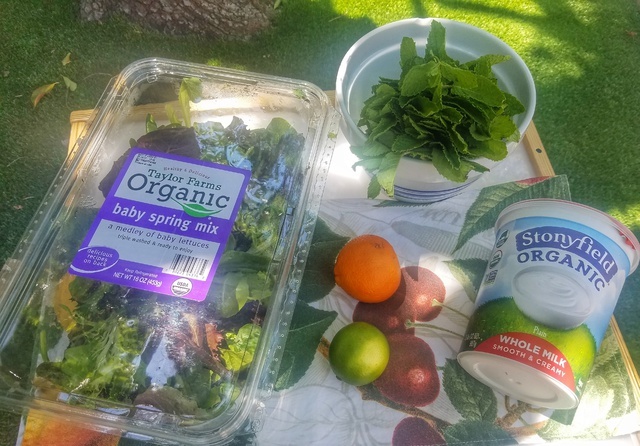 When Stonyfield asked me to make a salad dressing with their yogurt along with mixed greens from Taylor Farms, I couldn't have been more excited. Running is my first love, but cooking is definietly a close second! My family loves to eat and I like knowing exactly what goes into our food - so needless to say, our kitchen is always buzzing. 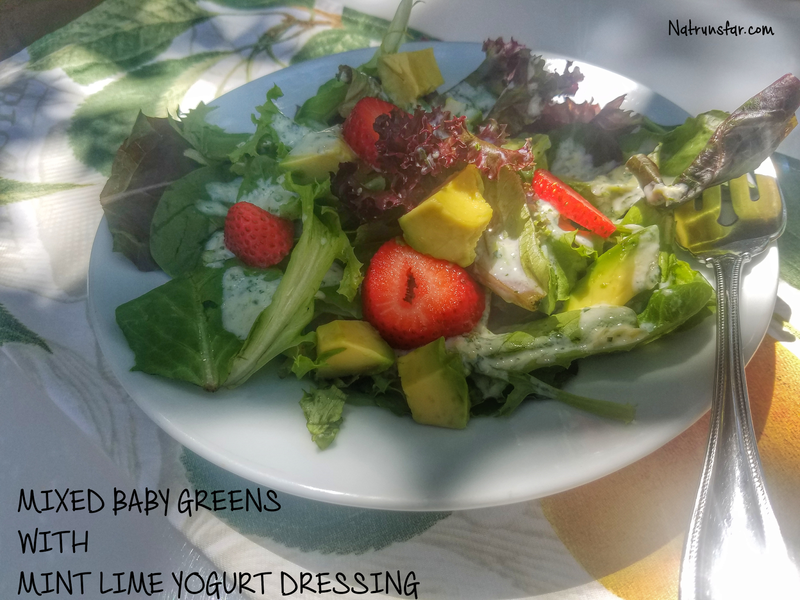 When I started brainstorming on a dressing, I knew I wanted it to be tangy, light and refreshing. It had to be kid friendly and easy to make. One herb that I can't get enough of (and I knew would be part of this recipe) is mint. We use mint in our lemonade, many other summer drinks and I love the smell of fresh mint in the summer. On to lime - lime has that special tangy quality that gives everything a bit of a different taste than lemon and that sounded interesting to me. Mini oranges are the secret ingredient in this dressing! The orange flavor added another layer of citrus and I couldn't wait to put everything together and give it a try. The result was so delicious! You never know with recipes how long it can take to get everything right, but this is so tasty - I hope you'll give it a try on your next summer salad. Place all ingredients into a blender. Blend until smooth - about 1 minute. Voila! Whether you need a quick lunch option or want to use this an a starter for your next summer dinner party - this is sure to get your taste buds popping. 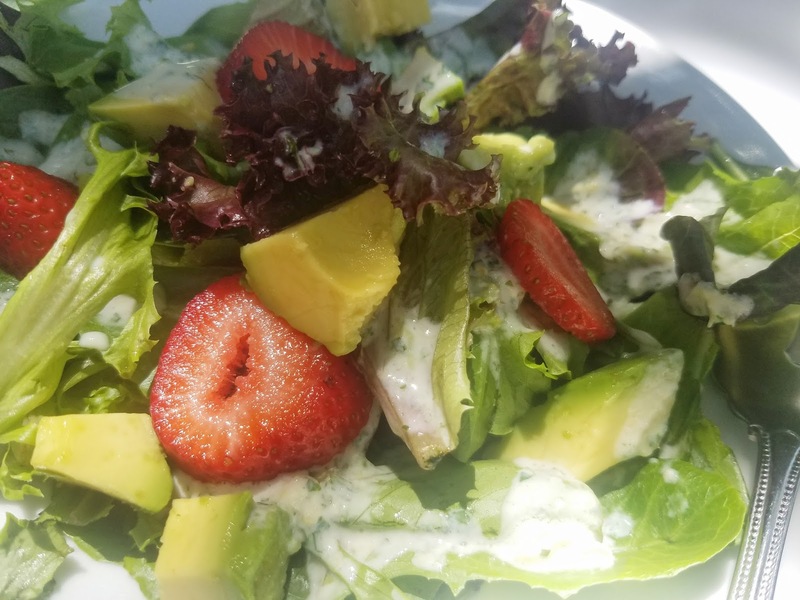 What is your favorite summer salad?